American Pride Foods was founded by Alaska native, Martin Rathburn. Rural Alaskan life required a certain reliance on locally hunted game. This lifestyle led to an appreciation of quality, natural foods. Martin turned that love of Alaska and quality food into American Pride Foods. Still located in Alaska, American Pride Foods ships gourmet beef, poultry and wild game all over the United States. While you can probably find a source of quality poultry or beef a little closer to home, good luck scoring elk, caribou, buffalo, ox or reindeer at your local Whole Foods. It was these exotic meats that piqued my interest in American Pride Foods. American Pride Foods sent samples of buffalo burgers and sausage as well as reindeer sausage. Remarkably, the meat can be shipped overnight (Fed Ex) from Alaska to just about anywhere. My meat made the 3,600 mile journey in just over 24 hours. Buffalo Sausage: The first product I used was the jalapeno and cheese buffalo sausage. Calling it "buffalo" sausage is a bit misleading. The buffalo is actually blended with pork and beef and stuffed inside a natural casing. The sausages are vacuum sealed in 1lb packages with four sausages per pack. Of the three products that I sampled, this sausage was the clear favorite. The jalapeno and cheese chunks added a fantastic burst of flavor to the already delicious sausage. The sausage was well spiced, but not overly salty. The consistency and texture was much like a traditional kielbasa. I sliced up three of the sausages for my jambalaya casserole and reserved one link to enjoy on its own. Buffalo Burgers: With the price of beef on the rise, I don't get the opportunity to grill burgers as often as I would like. When the sample pack arrived, I was excited to see that it contained buffalo burgers. The burgers are 90% lean and made from naturally managed Alaskan buffalo. The 1 lb package comes vacuum sealed with three 1/3 lb patties. 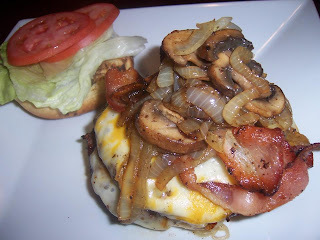 I grilled the burgers and topped them with cheese, bacon, onions and mushrooms. Despite being so lean, the burgers were still flavorful and juicy. The flavor is very similar to ground sirloin. Had I not told my wife that the burgers were buffalo, I don't think she would have even noticed. Alaskan Reindeer Sausage: Like the buffalo sausage, the reindeer links are actually blended with pork and beef for additional fat and flavor. According the American Pride website, the reindeer sausage is a staple in Alaskan cuisine. In fact, they call their reindeer sausage "Alaska's most popular sausage." This was my first taste of reindeer, but being raised in Michigan, I've had plenty of experience with other types of venison. This sausage was very similar to the pork and venison links found in the Midwest. 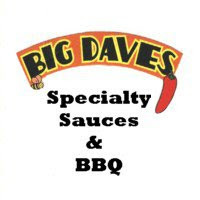 It's bold and salty and available with different levels of spicy heat. I found the flavor to be similar to a beef stick (Slim Jim). The texture was much like the buffalo sausage. However, it seemed to be a bit more fatty. It was also a bit more greasy when I cooked it up. For some, wild game meat is a bit intimidating. However, those who are willing to give it a try quickly learn that these meats are every bit as delicious as the domestically farmed meats they're used to. In most cases, their also healthier. Unless you or a relative is a skilled shot with a rifle, finding natural game meat may be a challenge. That's where companies like American Pride Foods come in. If you're a foodie, but not a marksman, simply go online to place your order and have these unique products shipped directly to your door in as little as 24 hours. 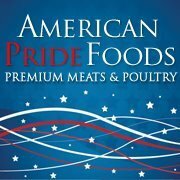 For more information about American Pride Foods, click here to visit their website. See how their products scored on our "Product Reviews" page. 2 Response to "American Pride Foods"
One reason you can get these things so quickly from Anchorage is that both FedEx and UPS have a huge shipping hub at the Anchorage airport--one of the biggest in the world. It's a boon to folks in Anchorage marketing these foods to "the lower 48." I grew up in Anchorage, and reindeer sausage at the Downtown Deli was a real treat. I will probably order some soon! Skip ordering from this company. The customer service seems to care over the phone but actions speak louder than words. I ordered almost $200 worth of meat for Christmas and had major issues. While the email confirmation showed the correct shipping address the Fedex tracker showed it was shipped to the billing address. After 3 days of trying to get a hold of the company, they first blamed me and then said they would correct the problem. They did not, products were shipped incorrectly and left unattended on a porch for 20 days. I was told they would reship my order to the correct address but again this did not happen. After waiting for another 10 days for it to arrive I called and asked for my money back. Another 10 days later I've not received my refund and they have stopped returning my calls. Once I returned home I opened the package and it wasn't even my order. They shorted me 11 pieces, 2 reindeer sausages and 9 packages of jerky.